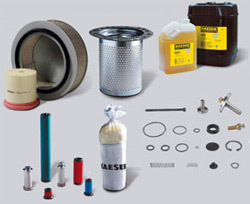 From a total compressor overhaul to a new oil filter, A & W Compressor is your source for a large inventory of affordable air compressor parts. Whether you’re near one of our three locations in Maynardville, Johnson City, and Madison, or you’re in a surrounding city like Knoxville, Nashville, or Mountain City, we can provide you with fast service and economical solutions. Even if you’re not sure which part you need to fix your compressor, we can even provide advice and a diagnosis to get you up and running right away. Because we house such a large inventory of parts and we offer them out of three Tennessee locations, we can provide you with our air compressor parts when you need them: now. In addition, you can be sure that if you need repairs along with parts, we will perform them with unrivaled precision and speed, using our more than three decades of compressor service experience to install or replace any part perfectly every time. Call or e-mail A & W Compressor today for more information on our large inventory of reliable air compressor parts and fast, personal service.